Towards the south of Peru , near Cuzco , is one of the most extraordinary architectural marvels in the world. According to UNESCO, ” Machu Picchu is one of the most important cultural sites in Latin America.” It is undoubtedly the most impressive archaeological wonder that the Incas built. 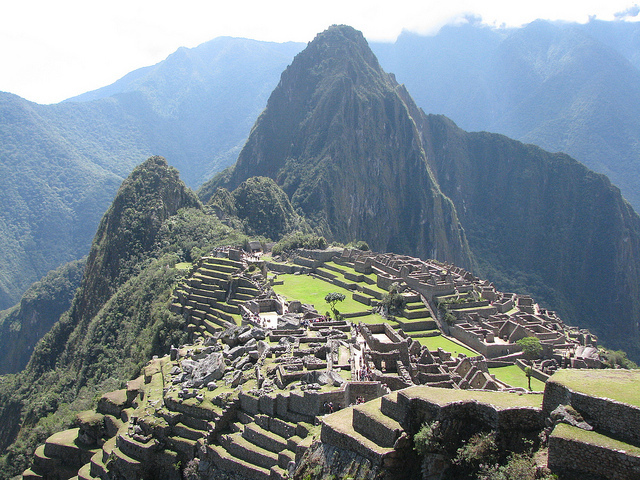 Why is it called Machu Picchu, The Lost City? Built sometime in the 15th century , it was “rediscovered” in the early 1900s by Yale professor Hiram Bingham. That means the city was lost for 500 yearsbefore being found again in an impressive state of preservation. However, even after 100 years of being known and studied by local and international experts, there are still many secrets that lie within this mysterious complex. Why was Machu Picchu built? What purpose did he have? In the city, we find areas where exclusive for the royal family, other areas where farmers carried out their work and special places where religious ceremonies were held. The difficult terrain, on the side of a mountain, inspired the Incas to use their skills to create terraces, ramps, irrigation channels and other advanced agricultural methods. Actually, the most sensational part of the Machu Picchu complex is that how the Incas could build this city when they had not even invented the wheelor other modern tools. An amazing fact considering the size and scale of the buildings. A recent study by the Italian professor Giulio Magli, has reached the conclusion that Machu Picchu was rather a place of pilgrimage than a real city. A place where the Inca believes that the sun was born. This fact is important, since they believed that the Inca royalty descended from the sun. Other scholars believe that the site was created for an astronomical purpose. However, we will never be able to know what was in the hearts and minds of the ancient peoples who lived there. More than 75,000 national and international tourists visit the remarkable Machu Picchu every year.